In a bent piece of fitspiration, one Ashley Madison survey discovered those who cheat are apparently far fitter. Remember: You’re not fat, you’re faithful. A survey by infidelity website Ashley Madison has confirmed that 70% of cheaters are motivated to exercise and live a healthier lifestyle, by their extramarital affair. 80% of those surveyed consider themselves as having an average level of physical fitness, with almost half (41%) exercising two to five times each week. Despite their own personal commitment to fitness, 52% do not believe their spouse to be fit, with 58% preferring their spouse to exercise more often. This perhaps explains why 71% consider their extramarital partner to be fit and/or seek an extramarital partner who is fit. However, despite not consciously attending the gym to seek out an affair, for some the health club is still a sexually charged environment, with certain exercises said to be a turn on among those surveyed. In a previous survey of Ashley Madison members going to the gym was identified as the fifth-most common excuse for men (9%) and women (12%), when planning to meet with their extramarital partner. 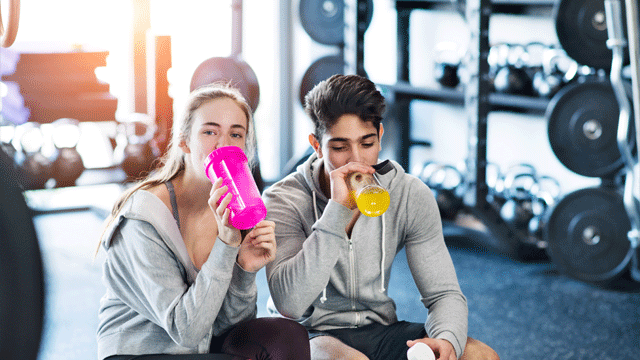 However, this recent survey found that 73% of cheaters who actually do go to the gym are there with the intent to exercise and not to seek out an extramarital partner. However, despite not consciously attending the gym to seek out an affair, for some the health club is still a sexually charged environment, with certain exercises said to be a turn on among those surveyed. The top exercises that most often turn people on were found to be yoga/stretching (51%) and squats (19%). So, while infidelity may not be good for your relationship, the research suggests it may turn out to be good for your health. Or at least, until your partner finds out. Analee Gale is the Food & Health Editor of TBS. Previous to that, she was a freelance writer and editor who has spent so many decades writing about being food and fitness that she sometimes forgets to actually be fit (though she never ever forgets to eat food - hangry is a thing, you know!). Analee made a tree-change from the northern beaches of Sydney, so she now taps out tales from her base in a tiny coastal town in East Gippsland, Victoria.